Singita Castleton is a premier sole-use safari lodge set within 45 000 acres of private wilderness in the Sabi Sands, South Africa. This magnificent home-away-from-home consists of a main house with communal living spaces, and six individual cottages within the grounds, accommodating families and small groups of up to 12 people. 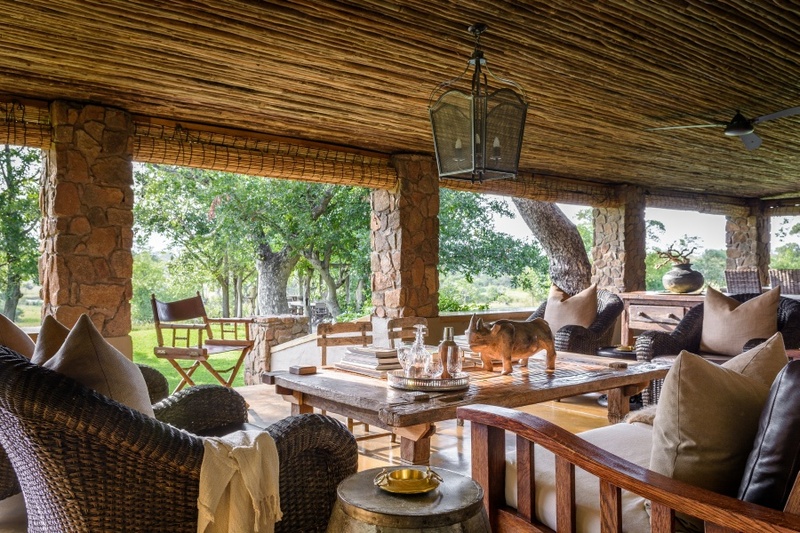 Singita Castleton combines the best elements of a private safari lodge with the rustic charms of a country farmhouse. Castleton guests have the exclusive use of a large garden, swimming pool, wine cellar, gym, tennis court and spa room. There is also a private courtyard, boma and country-style kitchen. This private wilderness home overlooks a waterhole where animals regularly gather to drink. Guests at Castleton enjoy access to a private Land Rover, experienced field guide and tracker, and the lodge has a private staff of house manager, chef and housekeeper. Kosher and Halaal can be booked in advance at an additional charge. There's currently no specials at Singita Castleton. All meals and beverages, excluding French Champagne, Private vehicle and guide, host, chef and house staff. Private open Land Rover safari, walking safari, tennis, archery. Ask us about conference facilities in Sabi Sands.